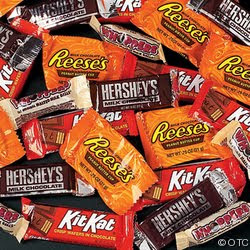 Centsible Savings: Need help from my readers - Halloween Candy deals? Need help from my readers - Halloween Candy deals? I am way behind in buying halloween candy this year! I don't know maybe it has been the lack of sales that have not motivated me. It seems that CVS had much better deals last year late in September/early October and I was able to stock up. Regardless, I have got to start stocking up now! Kelly over at Faithful Provisions has a great post on Halloween candy matchups here. But I need your help too! Where have you found some great deals? BOGO free Reeses Dark or Milk Chocolate Peanut Butter Cups Bar 1.5 oz. So now, please share - what deals can you make with these coupons? Or have you found some other coupons that I could add to the list above?